I’m Guest Designing this Month for a fairly new and really fun challenge site called Scrap & Music. Here is the layout I made for this challenge. The rules are below. The rules are very easy, you should use the sketch and some part of the lyrics as a title. 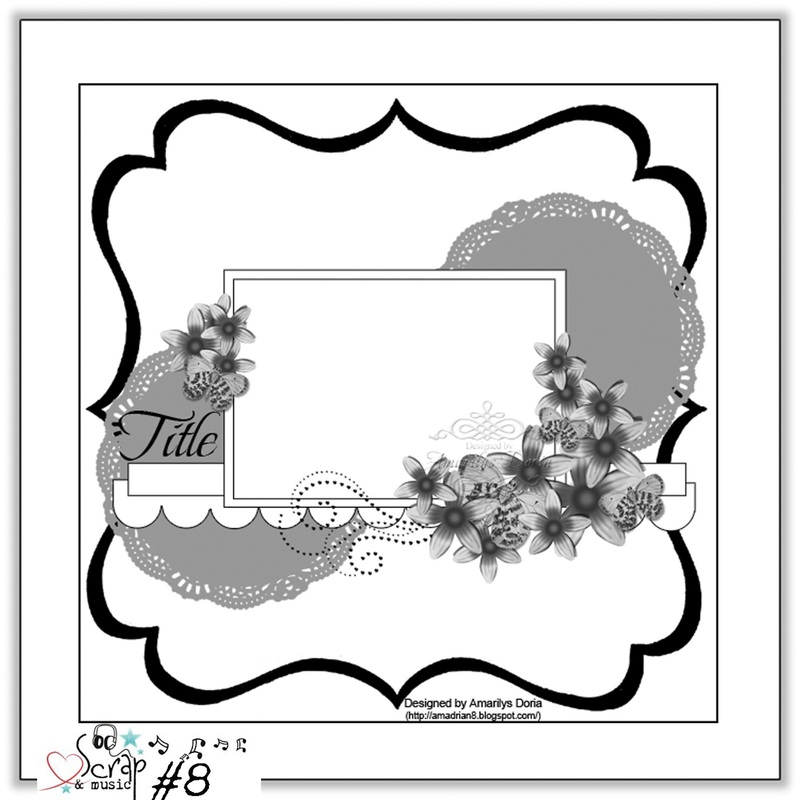 I used the C’est Magnifique July Kit for this layout featuring papers from Kaisercraft: On this day!! and flowers from the Lyric collection. I wrote part of the lyrics along the side of my vertical lines. I love this part of the song because that’s how I feel about my kids. 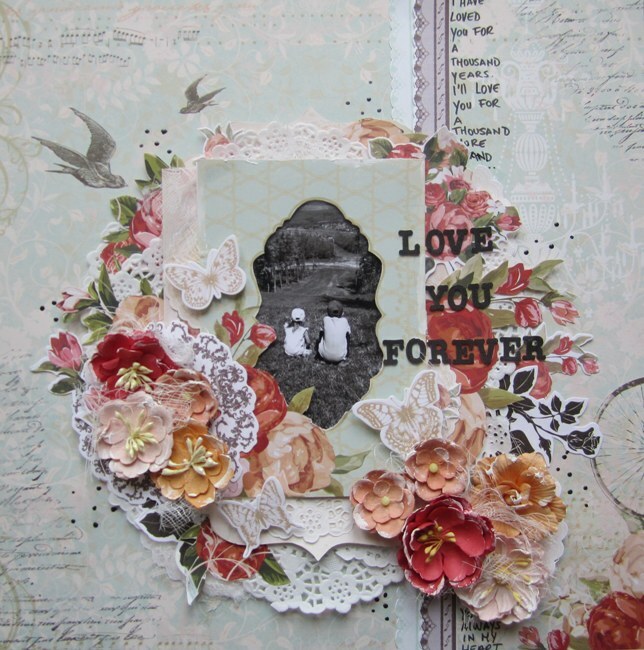 I used lots of die cuts from the same Kaisercraft collection to embellish around the photo. What a lovely page! Just love how you framed the photo! Congrats on your guest design gig! This is soooooooooo gorgeous!! LOVING that photo, the frame and loving all the flowers!! CONGRATS on the GDT!!!! This is absolutely stunning Keren! The title and the song just make me tear up! Your layout is gorgeous! Sweet page beautiful take on the challenge. Totally incredible, so beautiful Keren! Love the words…. Absolutely love the colours against that subtle background – delicious! Your clusters are always divine! Beautiful composition and layout. Wow! This is simply beautiful in every way! Oh wow this is so lovely! I have just used the same collection for MCS so recognised it straight away!! I am commenting to let you understand of the wonderful discovery my cousin’s child undergone browsing your web page. She came to understand so many details, with the inclusion of how it is like to have an awesome giving character to get many people completely master several extremely tough matters. You undoubtedly exceeded visitors’ expected results. Many thanks for showing these productive, trusted, educational as well as cool tips on that topic to Jane.